Whether you’re renovating your bathroom or you’re building a new home, you may have come across a tankless toilet in your search for the perfect amenities. Unlike a standard household toilet that has a tank sitting on top of the bowl, a tankless toilet is merely a seat and bowl, adding a more seamless elegance and convenience to any bathroom. 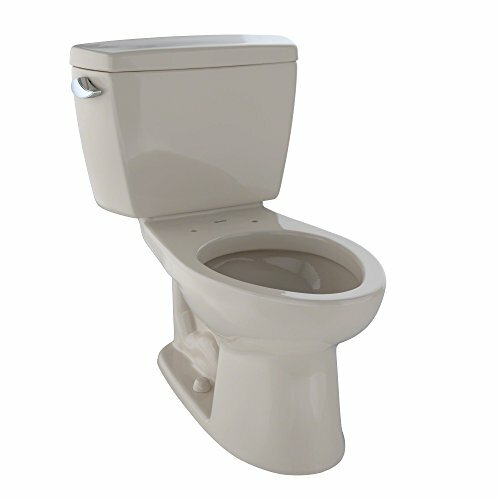 A standard flush toilet has a tank above it because it needs help producing that siphon effect that removes your waste. Enough water has to come through at a fast enough speed to fill the siphon tube, pulling your waste through the drain. As most residential water supplies don’t have enough water pressure to do this on their own, a tank is needed to add more water to remove waste more effectively. However, technology and water pressure rates for the standard home are changing, and more and more households can benefit from a tankless toilet that’s smaller, more compact, and more stylish than ever before. 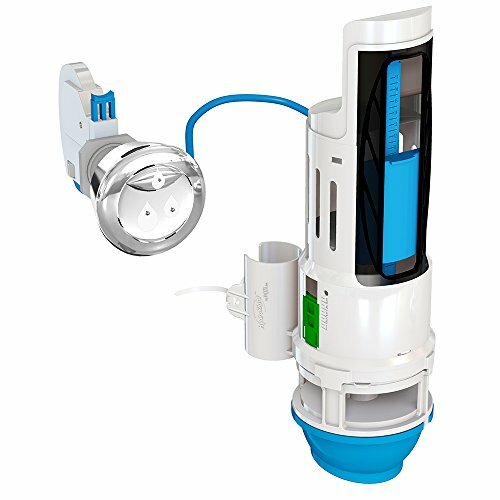 Instead of relying on a tank, a tankless toilet delivers water to the bowl directly from a supply line – using only water pressure to siphon out waste. Even homes with poor pressure can now benefit, with additional pumps available to further help the process. If you’re looking for a stylish tankless toilet that will tie into your bathroom’s décor beautifully, then why not consider any of these nine options below? If you’re looking for a clean-lined toilet that requires minimal maintenance and cleaning, then this tankless toilet from Dyconn is a good option for you. Not only is it a high-quality tankless toilet that delivers on value and reliability, but it’s also a bidet for user convenience and comfort. This toilet most certainly ticks all the boxes. It’s a one-piece design with a smart bidet, uses just 1.18 gallons of water with each flush, and is compact and tidy to suit any contemporary and small bathroom with ease. What’s more, it’s affordable for many homeowners to afford. Whether you’re renovating your bathroom or you’re just looking for a toilet that adds more convenience to your life, this one is it. Not only is it convenient in its tankless approach, but it also has a soft-closing lid and built-in LED lights as well. As a result, you can make your way to the bathroom at night without needing to turn on the lights. It also has an automatic heated seat you are sure to appreciate in the middle of winter, as well as easy-clean stainless-steel bidet hinges that are both easy-care and classy. The dual wand nozzle is replaceable, it offers fast water cleansing with warm water, and it even comes with a backup battery as well. All your needs have been catered for with this one tankless toilet. What’s more, you also get a 2-year warranty when you purchase it. Say goodbye to toilets with tanks and say hello to a more convenient and comfortable solution for your needs. Before you go ahead and purchase a new tank toilet for your bathroom, consider the benefits of a tankless toilet instead. This toilet from Dyconn is not only designed to tie in seamlessly with contemporary décor but adds an element of convenience to your everyday life as well. It’s a one-piece design for easy installation and cleaning and has no tank to worry about either. What’s more, it functions as both a toilet and a bidet for an added level of convenience. It uses just 1.18 gallons per flush, has a soft-closing lid to prevent damage, and has classy stainless-steel hinges to tie in well with the overall design. What customers are also sure to appreciate is the added appeal of modern features. It has built-in LED lights to help guide the way at night time and provides warm water cleansing from the bidet. 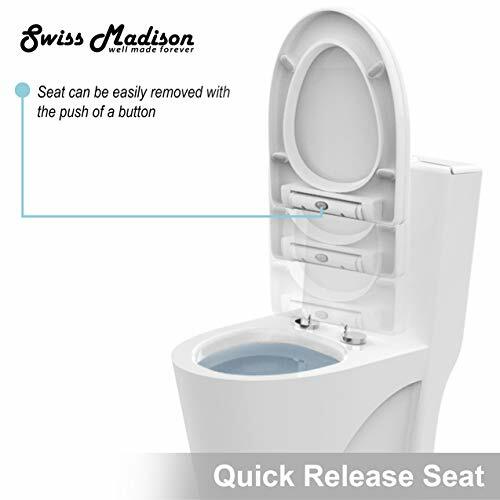 A cold toilet seat during winter won’t be a problem either, as it has a heated seat that turns on automatically. Adding further convenience is the replaceable wand nozzle and a 2-year warranty, giving you peace of mind that this is a tankless toilet that will last the distance. If you’re looking for a toilet that’s easy to clean and maintain, then a wall-hung tankless toilet from Kohler could be the answer. Rather than worry about trying to scrub between bolts, fasteners and other hardware, this toilet hangs on the wall seamlessly without the need for too much care. Its contemporary design allows it to tie into modern décor beautifully, while it’s also compact for those smaller bathrooms. What’s more, you can combine it with an in-wall tank and carrier system for the ultimate package. There is also more to this tankless toilet than meets the eye. It’s exceptionally easy to clean, has hidden hardware for a more seamless look, and doesn’t require a tank to sit above it which can often be an eyesore in any bathroom. It even comes in three colors so that it can tie in with your unique décor. Choose from biscuit, white, or black, all of which come with a stainless-steel flush button to install into the wall. If you’re looking for an affordable alternative to a typical residential toilet that’s both contemporary and convenient, this is undoubtedly the right product for you. Toilet technology has come a long way, but even today, advancements are being made in the realm of tankless toilets for residential builds. Typically, these toilets were restricted to public facilities, but now suburban water supplies are more than capable of adopting the seamless approach. 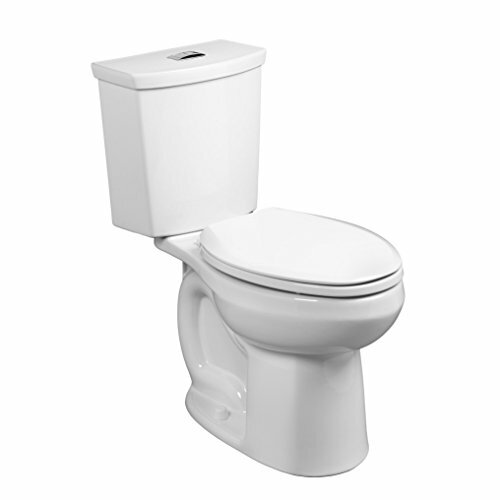 Instead of having to deal with cumbersome tanks that sit above your toilet and need to be cleaned, invest in a one-piece toilet. These tankless toilets from Saniflo are designed for residential homes and owners who wish to benefit from a more convenient bathroom setting. They can pump water vertically up to nine feet, and up to 100 feet horizontally, and connect seamlessly to a sink as well. What’s more, it uses just one gallon per flush, reducing your family’s water usage overall. These tankless toilets are also very stylish, working in seamlessly with contemporary bathrooms, as well as those with more of a classic touch. They have chrome hinges to add a touch of elegance, all the while being compact and affordable as well. There’s every reason to consider adding this Saniflo tankless toilet to your bathroom. 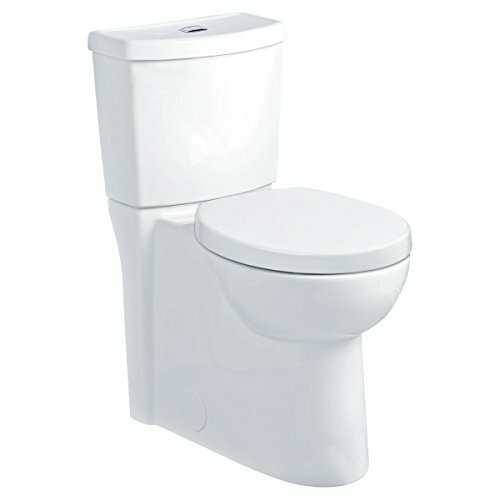 This tankless toilet from Kohler can easily be considered a premium product you will just love adding to your bathroom. While it’s hard to believe a toilet can be anything more than just functional, this one more than bucks the trend. It’s a seamless one-piece toilet, is akin to those found in five-star resorts, and even incorporates integrated cleansing. You will love everything this toilet has to offer. On first glance, it’s easy to see this tankless toilet is one of elegance. It has an elongated bowl, a stylish design, and even has a heated seat you can adjust the settings on. Going to the bathroom has never been so luxurious. What’s more, it has no tank, has a direct water supply, and enables you to choose from either 0.8 gallons or 1.28 gallons per flush. While most toilets are purely just functional, this one is also very convenient. It even has a bidet with a stainless-steel wand that lets you change the shape of the stream, the water pressure, temperature, and position. You can also set it so that it oscillates or pulsates. The sky’s the limit for how this tankless toilet can add convenience to your life, so add it to your wish list today. In a world of smart mobiles and smart TVs, it was only a matter of time before you would be able to buy a smart tankless toilet. That time has arrived, and this Ove Decors tankless toilet is going to transform your bathroom experience. 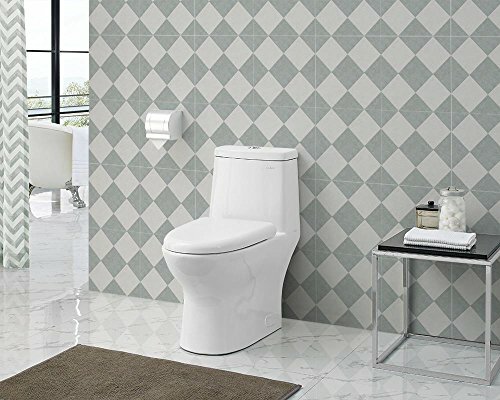 With both an automatic or manual flush function and a variety of adjustable features available on the remote control, you will surely look forward to your daily ablutions. You can have the toilet flush for you, or flush it yourself, and you also benefit from the tankless approach with the water supply hidden out of sight and out of mind. However, the beneficial features don’t end there. It has a bidet with a spray nozzle wash and enables you to change the pressure and temperature as well. You can also adjust the temperature of the bidet dryer, as well as whether you wish to have a heated seat or not. Where previously having a toilet was a necessity, you now have the option of making it a luxurious experience with a tankless toilet. 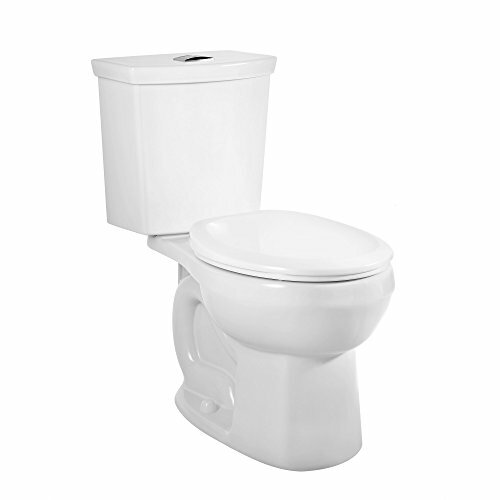 Priced affordably and packed full of features, there’s every reason to find out what else this toilet can offer. If you’re in the midst of bathroom renovations, or you’re looking at various toilet options, why not consider a tankless toilet from Coco? While there are many appliances around your home aimed at making your life more convenient, very few people consider the possibility of adding convenience to your bathroom as well. However, this tankless toilet more than delivers. Designed as a bidet, it’s a comfortable and convenient toilet that has no end of fabulous features you are sure to be impressed by. It has tankless heated water, a three-in-one jet nozzle, and even provides a night light, so you don’t need to turn the main lights on as you make your way to the bathroom. What users are also sure to be impressed by is its styling. It can tie into both contemporary and classic homes seamlessly and adds a new element of style to any space. This tankless toilet also has an infrared air dryer, a deodorizer, and a bubble, massage, or pulse wash. Choose your preference and get ready to experience a new level of comfort you never thought was possible. Sealing the deal is the 3-year warranty, giving you peace of mind that this tankless toilet delivers on value time and time again. If you lack space in your bathroom and you need the smallest fixtures possible, this tankless toilet from Duravit could be the answer to your problems. Homes are only getting smaller, and the first space sacrifice is often in the bathroom. However, finding compact amenities that are both stylish and compact is a never-ending problem for homeowners. This toilet fits the bill by being both wall-mounted and tankless. 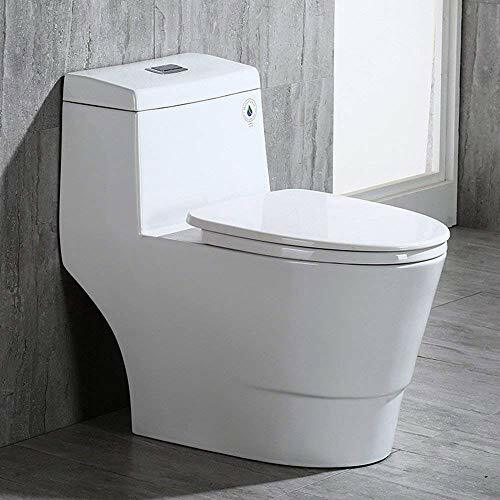 Instead of worrying about allowing room for a tank and base, you can mount this toilet for the wall, install an in-wall water supply, and enjoy all the space savings on offer. As it’s a one-piece unit, you will also appreciate how easy it is to clean. It has hidden hardware to prevent dirt build-up that’s hard to get to, and it’s easy to mop underneath it due to its wall-mounted design. What’s more, it’s a contemporary toilet that will tie in well with most classic or modern bathrooms. Plan your bathroom’s design to suit your needs, then install this toilet to begin benefiting from ultimate comfort and convenience. Everyone needs a toilet in their home, but the time has come to consider something other than a typical toilet – such as a tankless toilet. 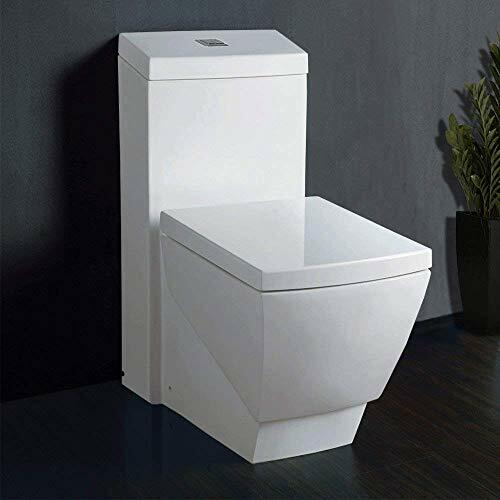 Rather than fill your wall and floor space with tanks and bases, instead consider the possibility your bathroom could have clean lines and a contemporary design just by adding this tankless toilet from Toto. Designed to be both stylish and convenient, it’s a wall-hung toilet that ties in beautifully with homes both classic and contemporary. It’s easy to install, works well with Toto in-wall water supplies, and has hidden hardware for a more seamless approach. Instead of spending hours scrubbing fixtures to make sure they’re sparkling, benefit from a one-piece unit that’s easy to clean and convenient to use. It takes up minimal space in the smallest bathroom, removes the need for a cumbersome tank and is priced affordably for all. There’s every reason to consider adding this tankless toilet from Toto to your bathroom today.